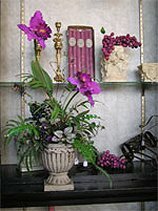 We are more than just your average flower shop! Speedy, reliable deliveries and customer care that's beyond compare are just two things that set us apart. 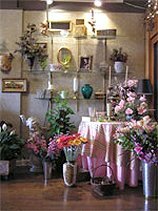 Flowers by Walter is a professional local florist proudly serving Racine, WI and the surrounding area for over 30 years. Our friendly and knowledgeable staff is ready to assist you when you need flowers delivered locally or anywhere in the world. Our store is open to serve your floral and gift-giving needs: Monday through Friday 9:00 to 5:00, Saturday 9:00 to 3:00 and Sunday closed. Daily delivery service is available to local hospitals and funeral homes. Welcome to our shop’s website - conveniently open 24 hours a day!! We hope you enjoy your online shopping experience with secure ordering right at your fingertips. If desired, you may also call us to place orders direct at (262) 633-7707. You can choose from traditional and contemporary design styles that are appropriate for birthdays, anniversaries, get well, new baby, holidays, or just thinking of you. At Flowers by Walter, we customize floral designs that will complement any occasion and meet your budget and style expectations as well. Let Flowers by Walter help you create beautiful memories! Whether your special event is formal or casual… a small gathering or the social event of the year… we can help you plan an event that’s a “blooming” success! Call us in advance at (262) 633-7707 to schedule your bridal consultation. 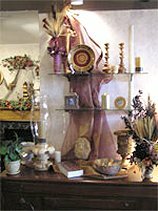 We also carry a vast array of gift items for any age or occasion, including Balloons, Unique Vases, Home Décor, Candleholders, Candles, Figurines, Silk/Artificial Flowers and more! 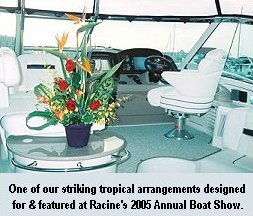 Thank you for visiting our website for flowers delivered fresh from a local Racine, WI florist and convenient online ordering available 24 hours a day! !